Vintage silver is one of my very favorite things. 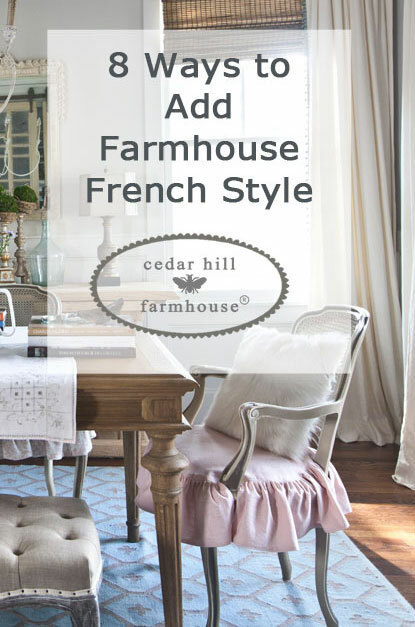 It gives a room a French feel, even if the silver isn’t actually French. I have some French pieces, but many that are not actually French. I know vintage silver isn’t in vogue much any more, because it is considered high maintenance, due to tarnish, but I love it. It reminds me of days gone by when it was revered and used. 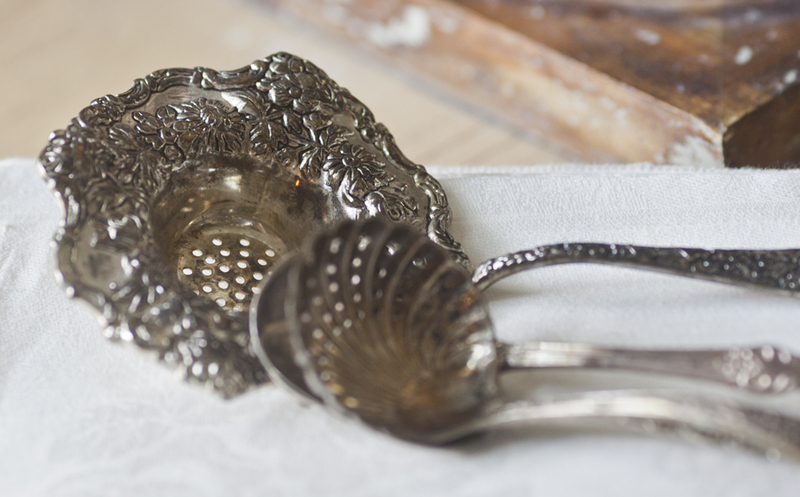 The upside to using your vintage silver often is that it doesn’t require polishing, since you are wiping it with a cloth to dry it on a regular basis. The sugar scuttle with scoop above was inherited. I filled it with macaroons which is not how it was meant to be used. I can be irreverent that way. 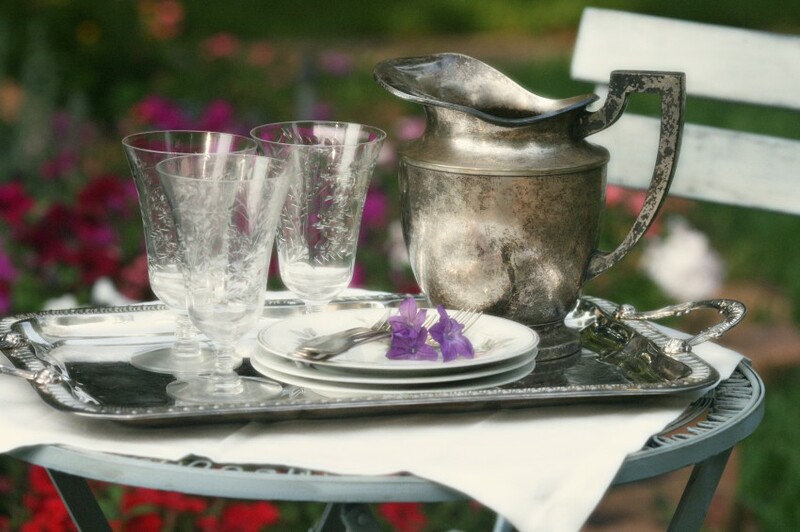 You can collect silver trays or water pitchers. I got both of these below at a nearby thrift shop. The pitcher is tarnished and missing a bit of silvering, but that doesn’t take away from its charm. 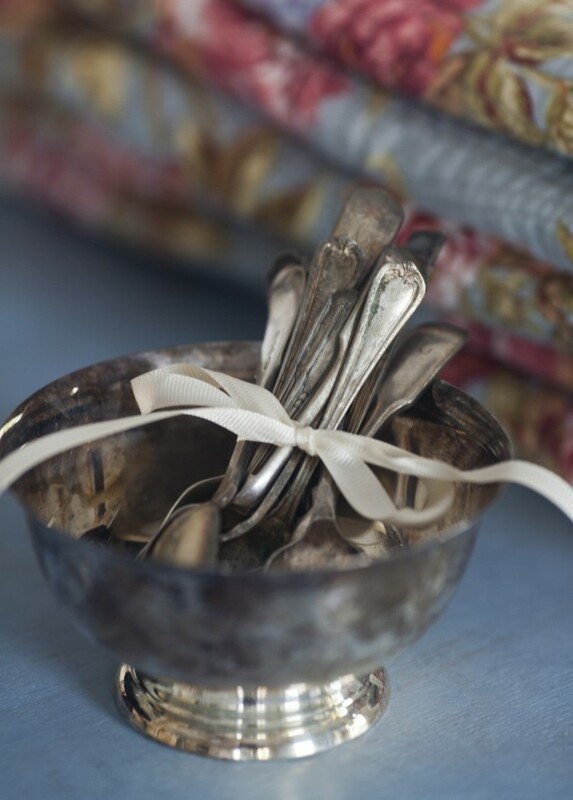 I especially love to use vintage silverware at the table for parties and even everyday meals. I will caution you about washing it in the dishwasher though. It can be done, but if mixed with stainless it will become milky. Since the blades on most silverware are stainless, I would not put those in the dishwasher. At the end of the day, hand-washing really is your best option. Although we inherited the family silverware, you can usually find silver-plate very reasonably priced on eBay. I found lots of goodies there. 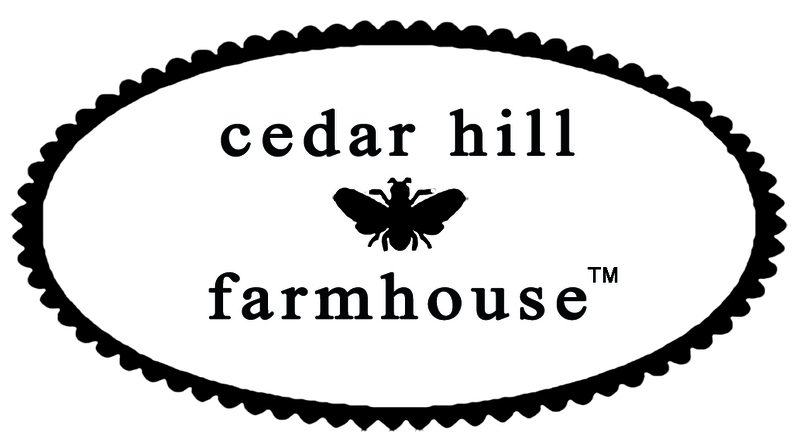 My favorite find was my “Cedar Hill” silverware. It was actually HC for ‘Harmonie Club’, but hey it looks like CH to me! I honestly have fun looking at the silver in thrift shops and on eBay even if I don’t buy any. It feels like I am seeing into the lives of people long gone, and for some reason, that fascinates me. This covered butter dish is also a favorite of mine. I like to keep old silver sitting out and use it to hold things. I use a vintage silver water pitcher to hold my wooden spoons and whisks. It was a wedding present and it was new at the time. If you don’t mind spoons and forks that are mismatched, you can find silver-plate even cheaper, than if you buy it in a matching set. And look at all of these fun patterns I found! Some pieces are super ornate like this repousse tea strainer. The large one is actually reproduction, but again, still charming to me. 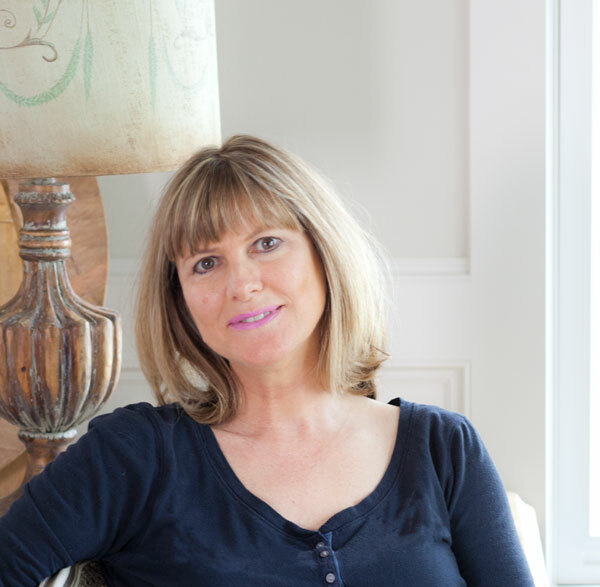 Many of my pieces are not French, but I am delighted to own a few things that are French. This set of dessert forks below as you can see are from Orfevres in Paris. It’s a complete set! The vintatge silver below is also French. 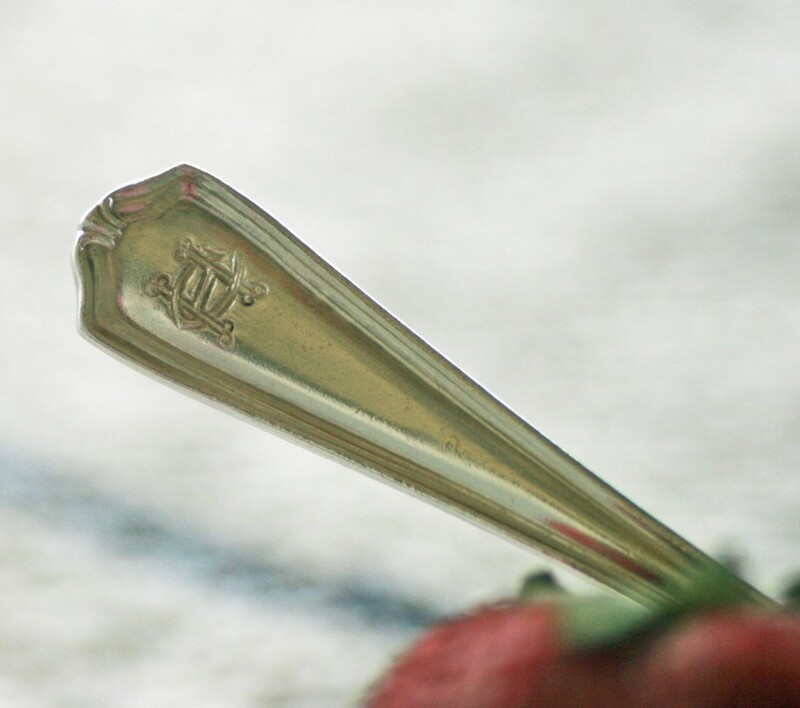 The markings typically are on the top of the spoons and forks, and the more ornate part of the spoons and forks is on the bottom. and here is the ‘top side’. Fish sets are really unusual looking to our modern eyes; they were only used for the fish course. My friends don’t know that, so I often use these for dessert. Shhhh… don’t tell them. I suspect this set is English, but I’m no expert on silver. I have so much more to show you, but I have run out of time and space here. 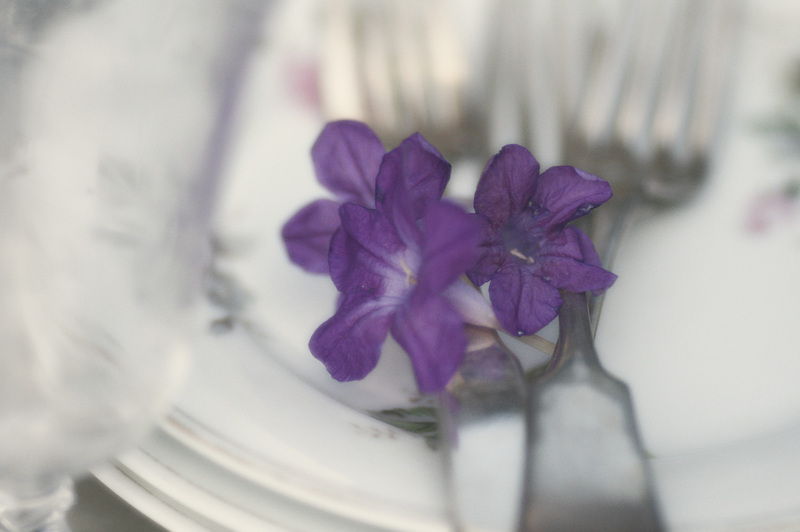 I found this silver syrup pitcher at a thrift store too, and I love to use it as a vase for fresh flowers. 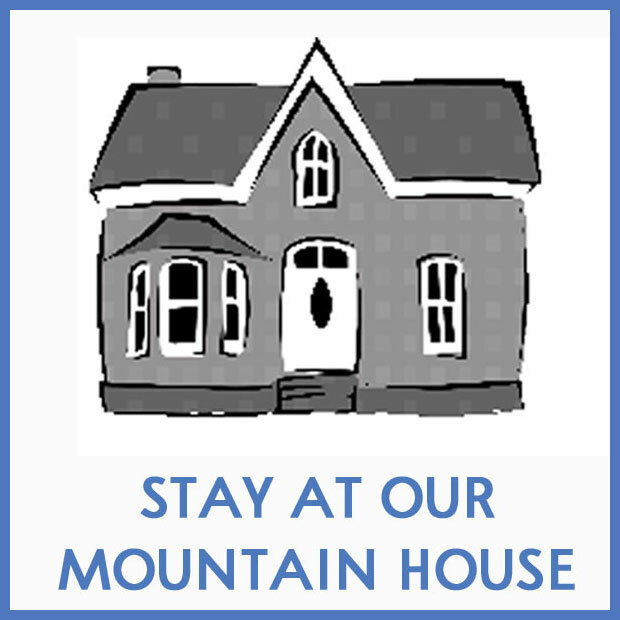 I hope that gave you some ideas about where you can find silver and how you can use it in your home. 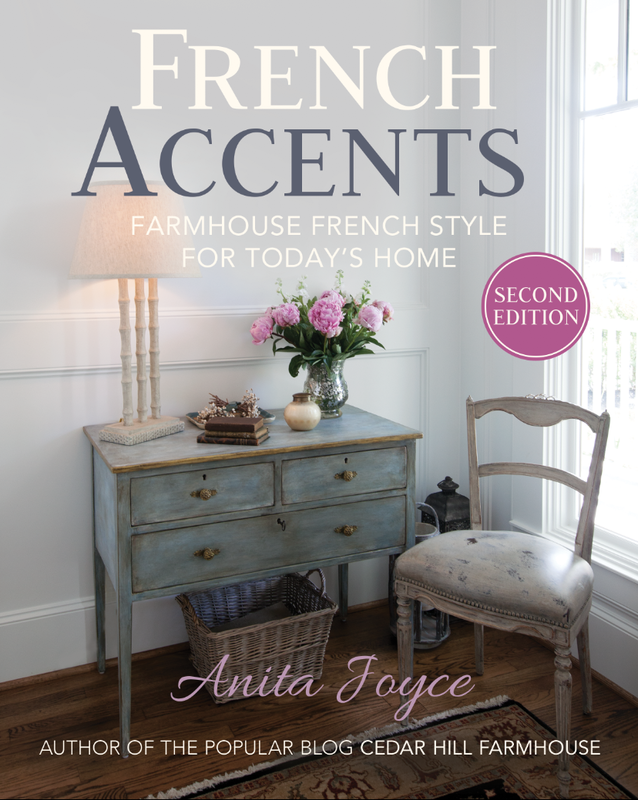 Please join the other country French bloggers that are part of my country French event today. 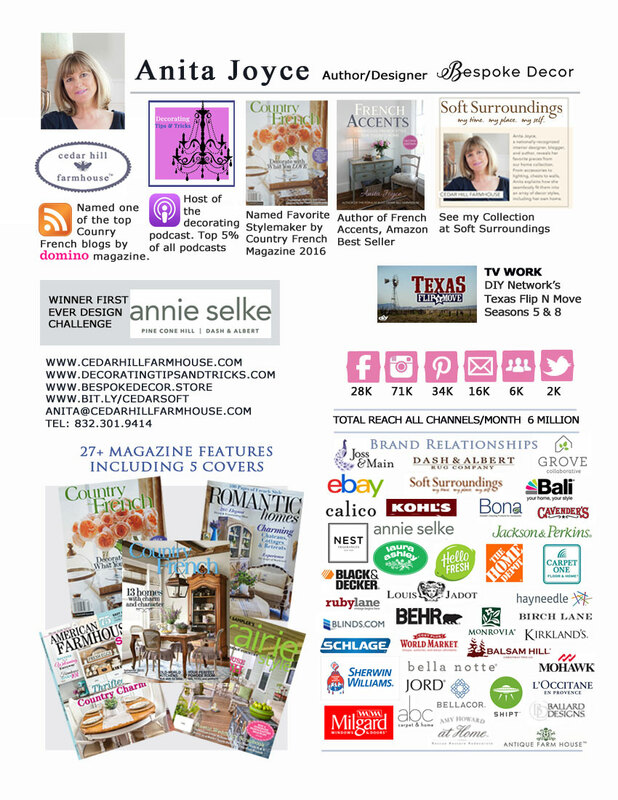 You have some beautiful pieces, Anita and found some great ways to use them. I love old silver, too. 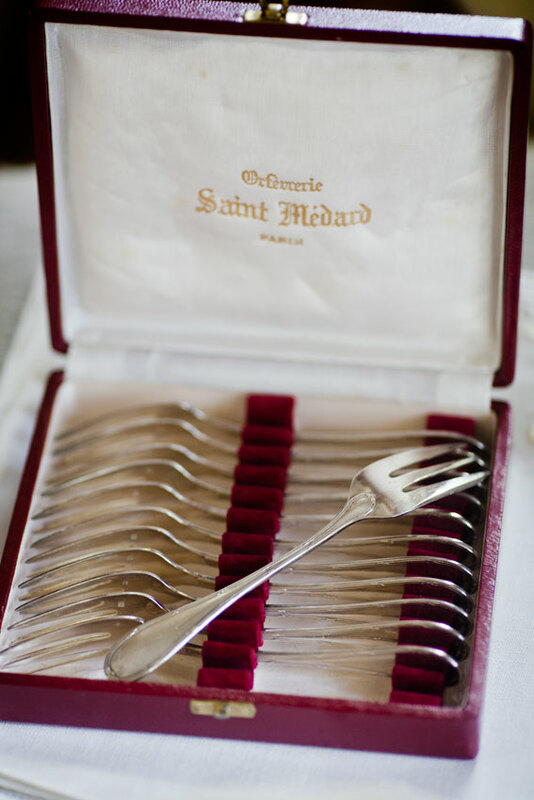 Yours are just beautiful, especially the CH monogram and the forks with the yellowish handles. What a gorgeous post. 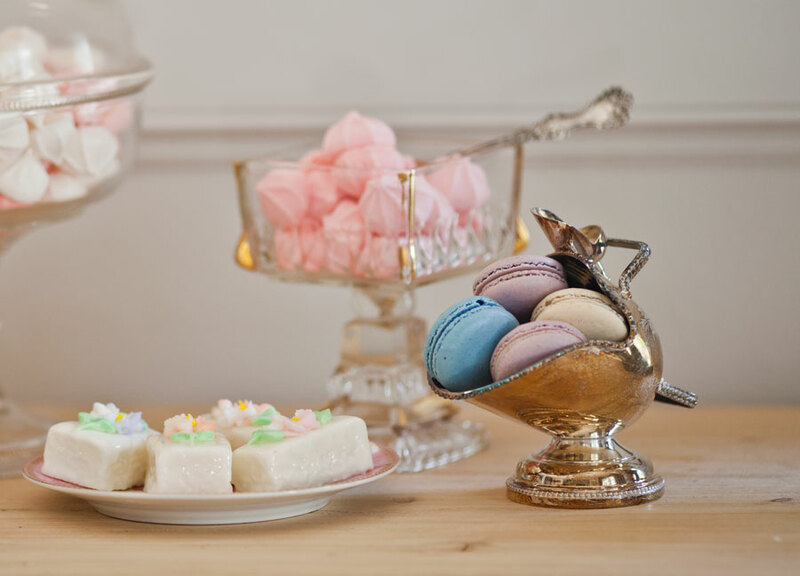 Love your blog, where did you get those wonderful Macaroons? A macaroon shop in River Oaks. Can’t remember the name right now. Silver pieces are beautiful and I use them through out my home. The only downfall is constant polishing. I like mine clean and polished. Some I just put away in a large cabinet and polish once a year. A whole buffet table in all silver with food is gorgeous for a party. I love your monogram silverware. It is perfect! Anita, I just love this series you, Kin and Debbie take art in, what fun. 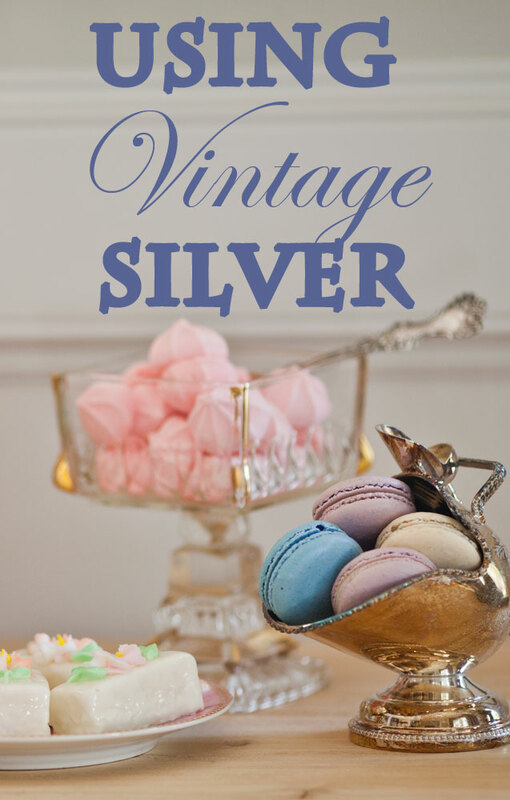 I love the vintage silver and I don’t mind it tarnished. I think it adds charm. 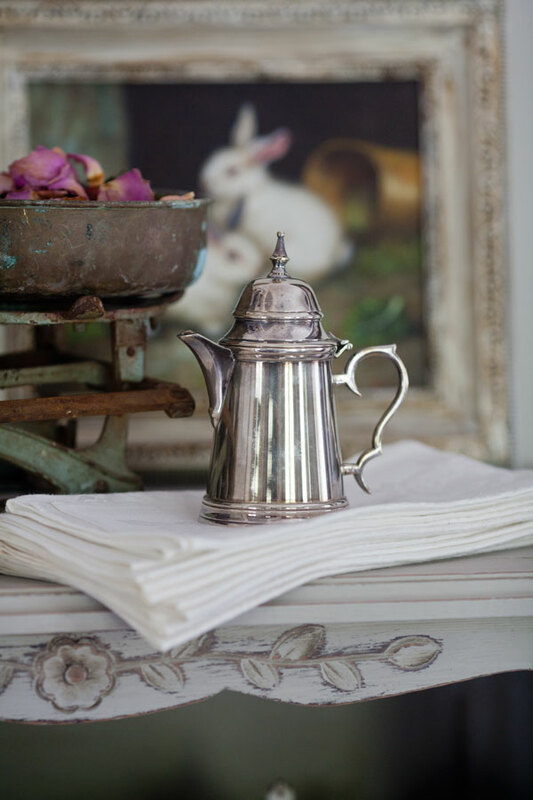 You have such great pieces, love the sugar scuttle. Such a beautiful collection Anita. I luv bringing my pieces out in the Fall. All your pieces are so pretty Anita. 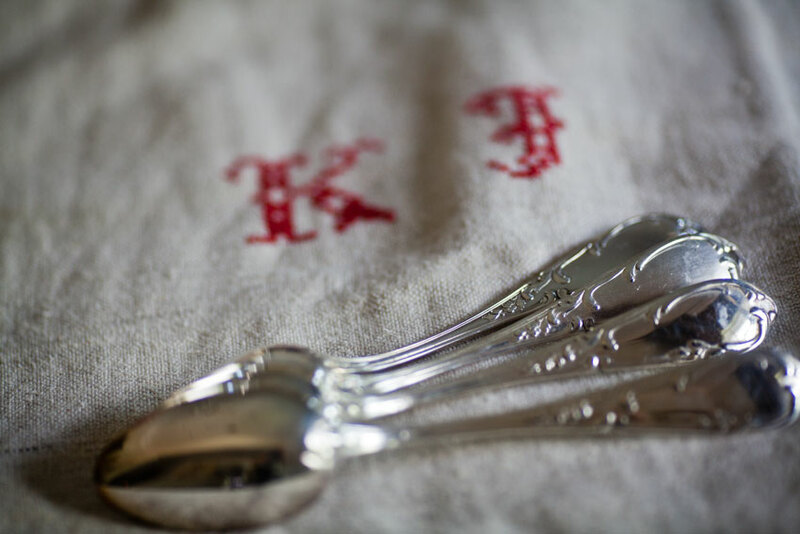 I have a large collection of mismatched monogrammed silver flatware as well- love that you found some with your initials on them. I am so in love with your glasses. Love the silver. I need to go polish mine. Gorgeous silver pieces, dear friend!!! from my MoMa and Maternal Grandmother. However, I have a fettish for silver trays! 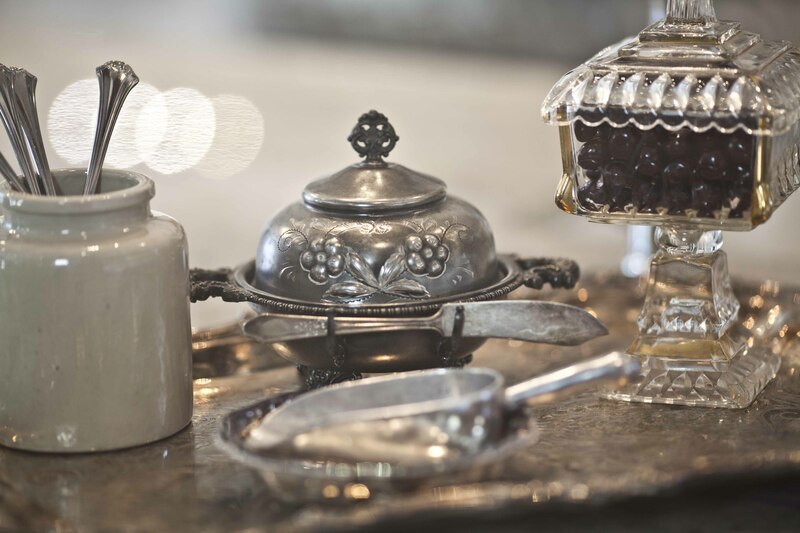 Footed silver trays make me swoon! seem to “PoP” into my basket at the local Antique & Flea Markets!!! Your photography is exquisite, as always! 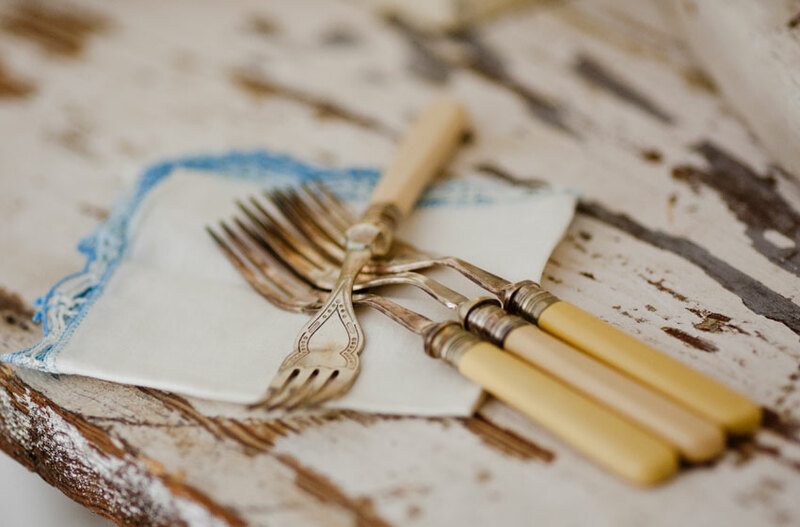 My french SO, when setting the table, turns the forks tines down. This shows off the backs of the forks. I gave away all my wedding silver back in the 80s, because I didn’t want to clean it, but am buying more vintage now, since I made pacific cloth bags to hold all the pieces I don’t use regularly. 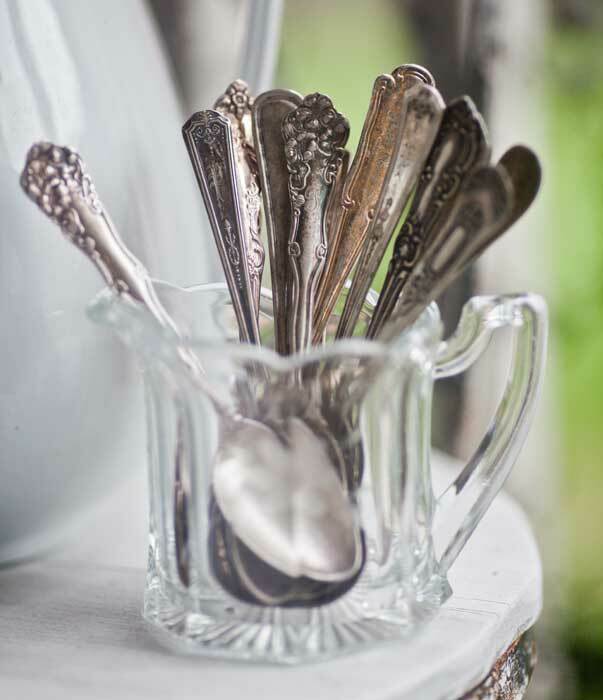 My favorites are half a dozen coin silver spoons, American classics, but they look fine with the collection of more elaborate silverware. Love your silver collection. I understand sterling is getting harder to find. 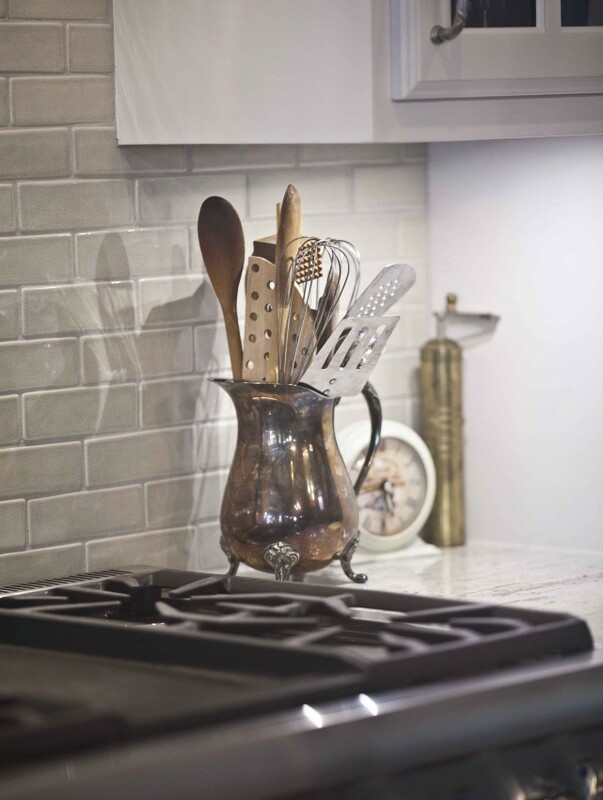 I have a lot that I am going to start using throughout my house…. Maas Polish will revive the most tarnished sterling to its original mirror finish, btw. I also love the charm of tarnished silver . 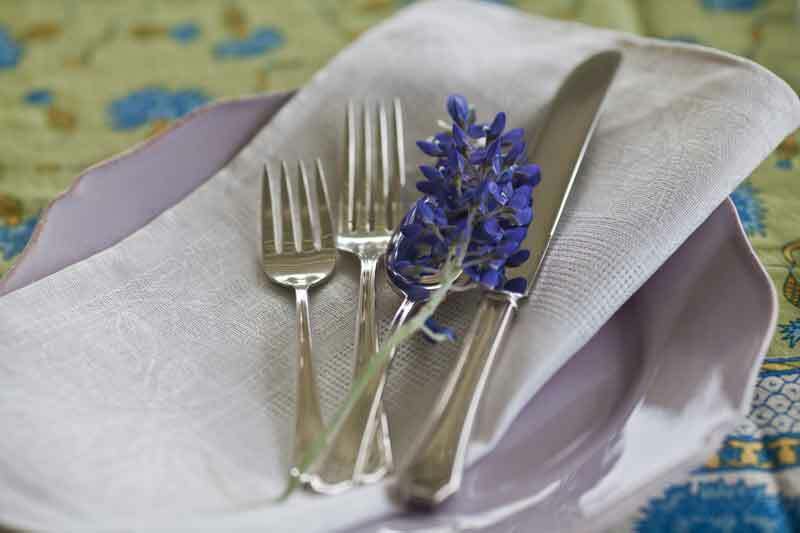 I especially love the silverware with embellishment on the back. But I have a question about the rabbits behind your syrup pitcher. I love it…where did you find it? Do you know the name of the artist? No I don’t and I bought it from a dealer years ago. You have a wonderful collection of great pieces! I too collect what I can from thrift stores and such and Love to use it any chance I can. I have a gorgeous butter dish that we use on a daily basis and numerous trays scattered around. But my favorite is Thanksgiving when I get all I have gathered up and use it all on the table. It makes me so happy. 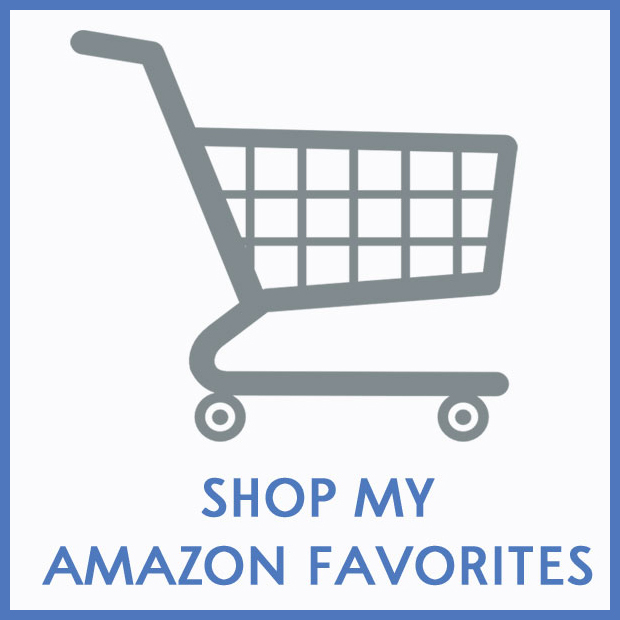 Since I sell vintage items, of course, I would love vintage items. Like you I do enjoy looking at vintage silverware and I thought I was the only person who wondered about the person that owned the piece. My collection of silverware that I use for entertaining is only silver-plated since I bought it new not very long ago,but I do have some silver pieces from my mom and I am wondering what to do with them. Any suggestions? I have a large silver tray that was very tarnished and I tried to clean it up, but I was only able to do so much. A coffee urn with a warming tray underneath, teapot and sugar and creamer. I also have a compote bowl that has candle holders on 3 sides. Unfortunately one of the candle holders is broken off and it is part of the foot so I can’t stand it upright. 🙁 All pieces are heavily tarnished since my mom kept them in a box with no protection. I would especially like to use the compote, but I hubby says there is no way of fixing it without ruining the piece itself. Any suggestions from anyone would be appreciated. Perfect blog for me to read today. I just purchased a silver tea/coffee set. I am so excited to use them. Anita, I love your silver collection. I have collected many pieces over the years. I love to use smaller round silver trays for chargers. They look so gorgeous under plates.